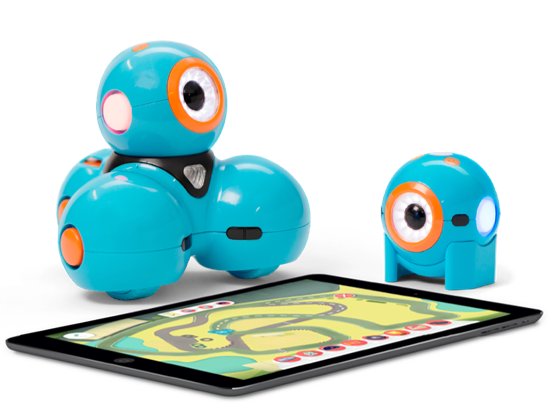 Dash and Dot are two programmable, interactive robots appropriate for K-12 students. Using a variety of apps, students can use touch interfaces and block coding to program Dash and Dot to complete a wide range of movements and sounds. There are a total of three Dash and Dot sets available to borrow through the Media Library Catalog. Cubelets are "robot blocks". Each cube contains a small computer that performs a specific function; snap the cubes together to build more complex robots that interact with their environment. Cubelets are an excellent way to introduce computational thinking/block coding in a tangible way. There is one classroom set of 85 Cubelets available to borrow through the Media Library Catalog. 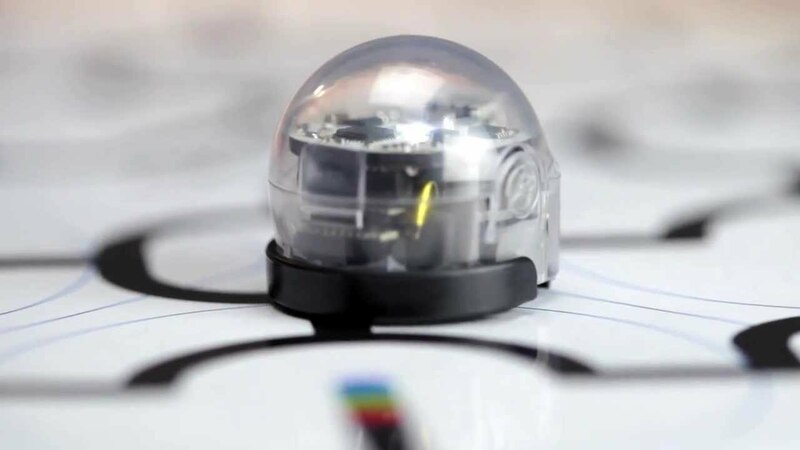 Ozobots are small, easy-to-use robots that can be coded by drawing lines and colors using OzoCodes, or, for students ready for greater complexity, with OzoBlockly, a block coding program. Ozobots are a great first introduction to coding and robotics, as no reading skills are required to code with color patterns.